Sawdust & Embers is a Texas based indie candle company that was founded in 2015 that I have been following on IG for a while now. 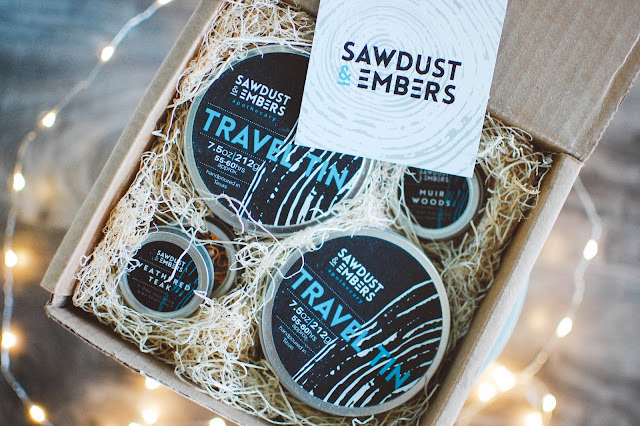 I like the sustainable ethics behind the brand and the scent blends are right up my wheelhouse. Various woods, resins and leathers often feature in their fragrances. 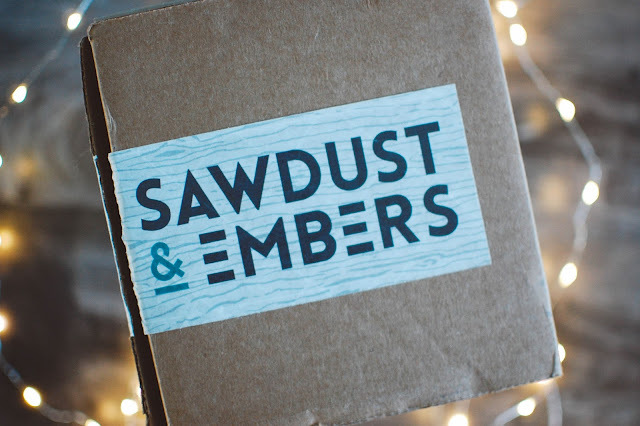 I found myself running low on candles and itching to try something new when I remembered I had meant to order from Sawdust & Embers for some time now. 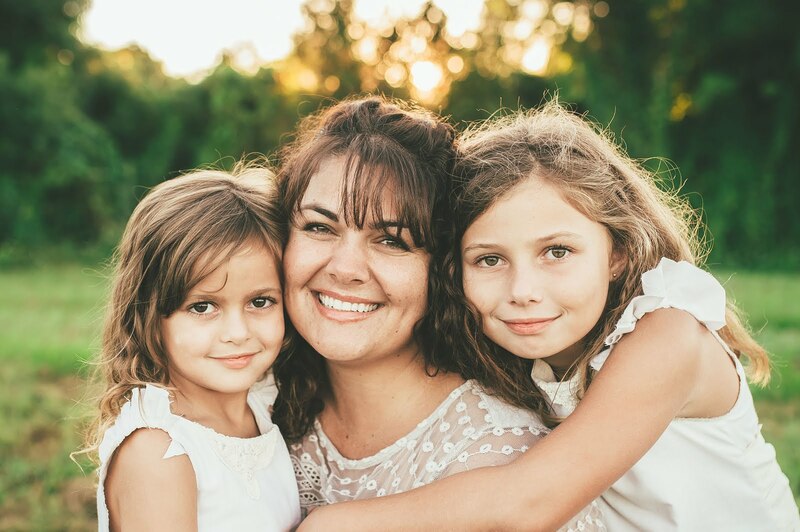 After browsing the modern and easy to navigate website, I settled on two travel tins which hold 7.5 ounces of coconut wax and run $18 each. I did pick one up on sale for $14. Shipping was free (on all candle orders) and the candles came packaged wonderfully. You know how much I adore my wood wicks. 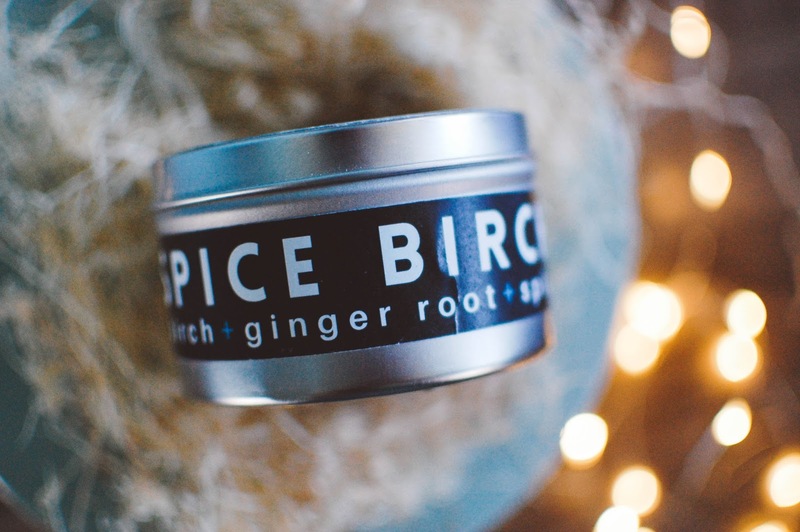 Spice Birch- Notes: Black birch, tobacco, hay, ginger root, white citrus, spiced rum and cassia bark. This one is beautifully sweet with the tobacco and citrusy rum notes. The woods are soft and round, almost vanilla-like. I love the semi-tropical vibe I get from this one. It is perfect for spring and summer. It has a medium-light throw in the bedroom. A lovely burn for the bedside table. Rosewood- Notes: Rosewood, Otto rose, cassis, cinnamon, green olive, cedar, sandalwood, musk and black amber. 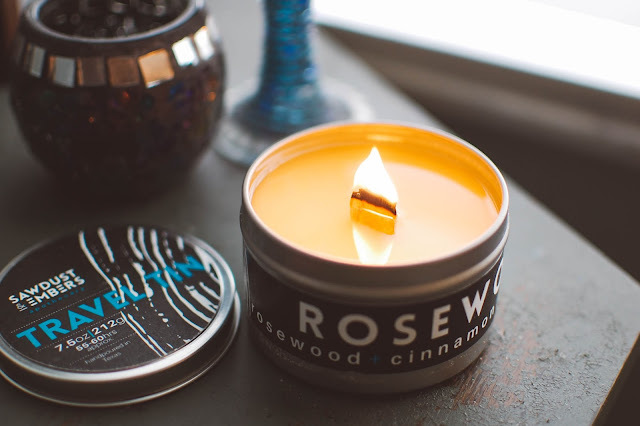 Remember my favorite wax tarts from Ten Digit Creations in Rosewood & Amber? 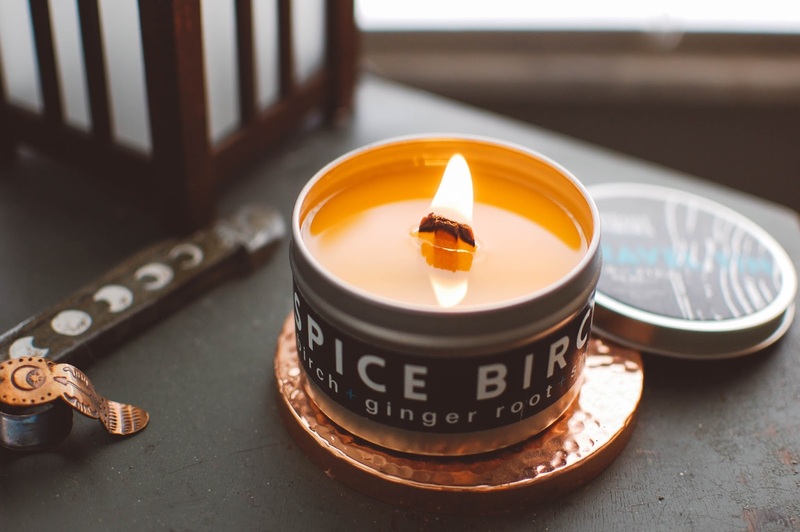 This is that scent in a wood wick candle and I could not be happier. I love, love, love this scent. 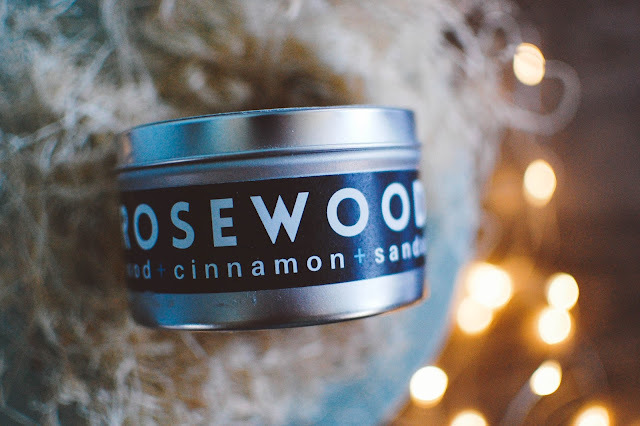 The rosewood is bright and aromatic and marries elegantly with the amber and subtle spice. The throw is medium in the bedroom. I will be back for more with this one. Weathered Teak- Strongly scent classic mahogany and teakwood. Brilliant. Muir Woods- Lush green woods and ferns and aquatic florals that smells of coastal forests. Skulls in the City- Smoothly blended grapefruit, labdanum and patchouli that holds a sweet edge and mellow amber. The crackle of the wood wick is pleasant as always. The candles burned evenly and pooled beautifully. Easy peasy. There are also wax melts, at 3.5 ounces for $12, which is a tad on the high end side, but I have not tried them out yet to see how they perform. 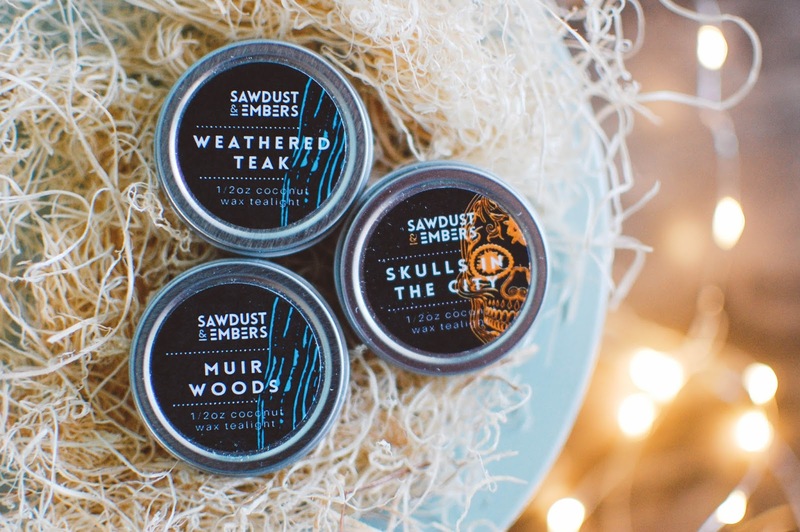 I am eyeing up more candles, specifically Texas Cedar, Homestead and Redwood Creek. What can I say? I have a weakness for wood wicks and woodsy aromas. Are you burning any candles? What do you think about wood wicks? 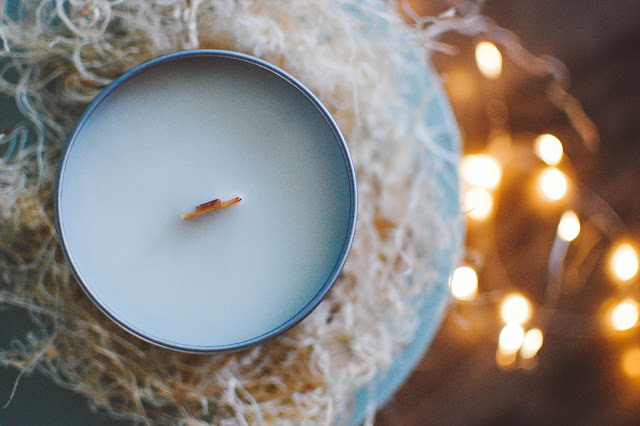 These sound so wonderful; all scents I would love! I adore woodwicks too. I just got my cheap candle fix at Ross but may check out this brand when I need some more.